Bill and Hillary Clinton are going to be grandparents. You heard it here first: Chelsea Clinton is pregnant. 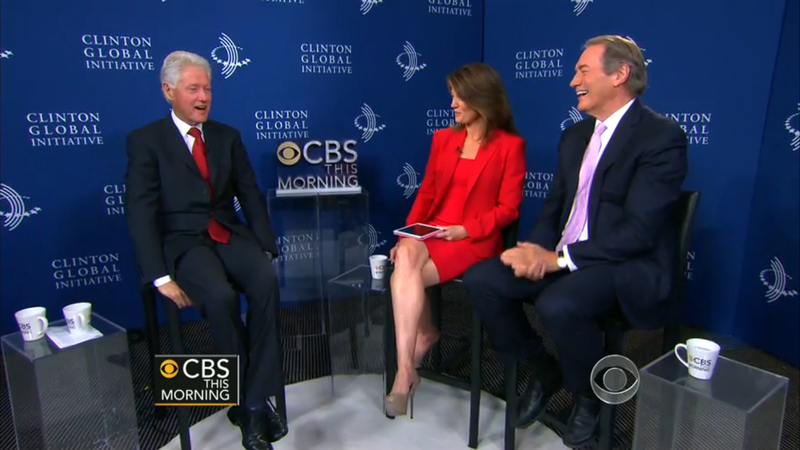 Bill let the cat out of the bag yesterday when he was interviewed by Charlie Rose and Norah O'Donnell at a Clinton Global Initiative event. Not so much with what he said but with his body language and paralanguage. The following dissects a few key moments of the soon-to-be proud grandpa's nonverbal tells. 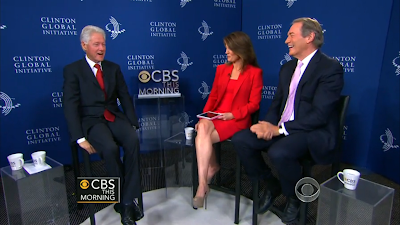 As Charlie Rose asks whether Hillary would rather be President or a grandmother, Bill blushes and laughs. This can be seen at 2:39 - 2:40 in the video. These two combined along with the stalling tactic of taking a drink (Bill anticipated this with Charlie's slow softball pitch question). 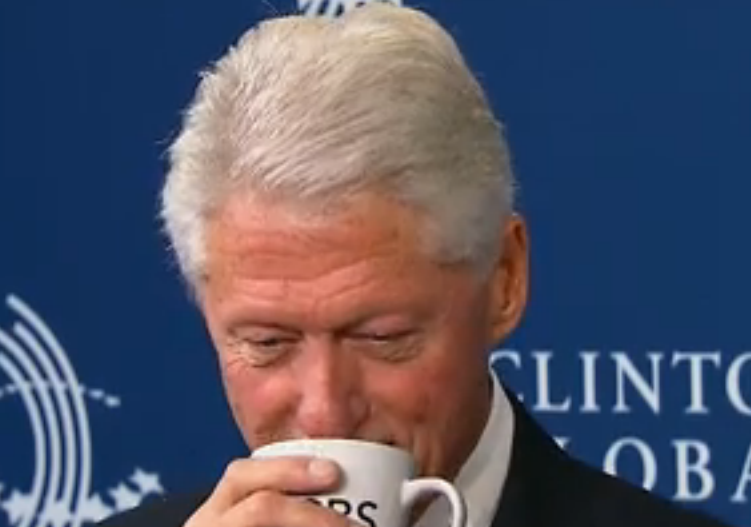 Less than one second later at 2:40 we can even hear the coffee mug clank on the former President's teeth. 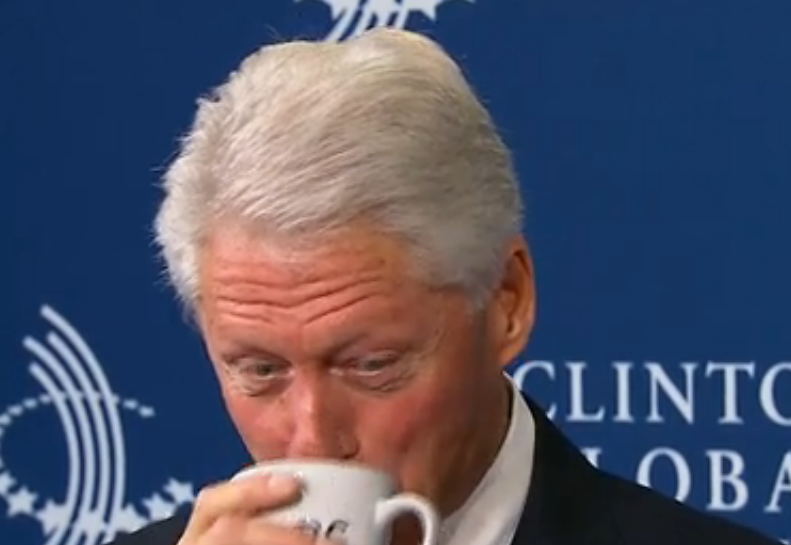 This is a relative rare event for most people and this belies a high anxiety level which can be further evidenced by Mr. Clinton's hand shaking for a few oscillations as he navigates the cup near his mouth at 2:41. Also at 2:41 we can see a mild surprise as Bill's forehead contracts and his lids open wider as he simultaneously suppresses this eyelid dynamic in order attempt to mask his surprise expression. 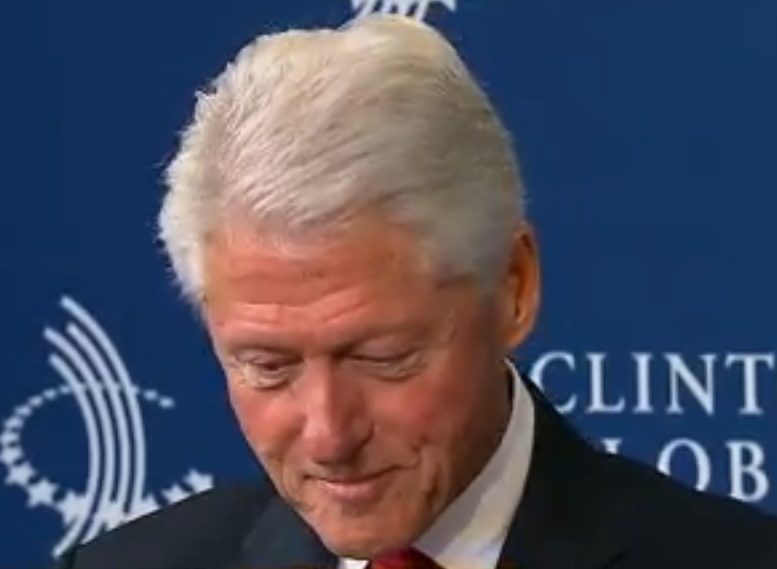 At 2:46, President Clinton looks down to his right (where most right-handed people look to during emotional moments - although Mr. Clinton is left-handed; so classically this would be interpreted as his own internal dialog - e.g. choosing his words in his head before he speaks aloud). 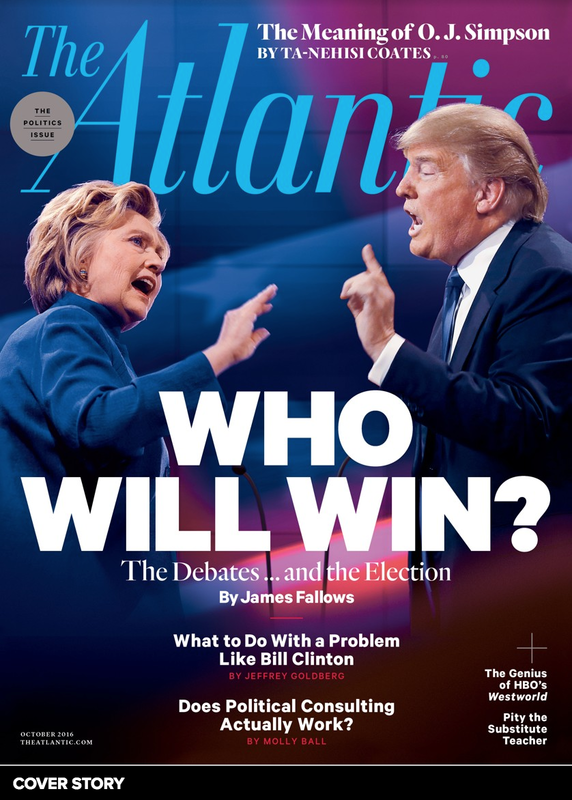 This is done just prior to Bill saying, "... 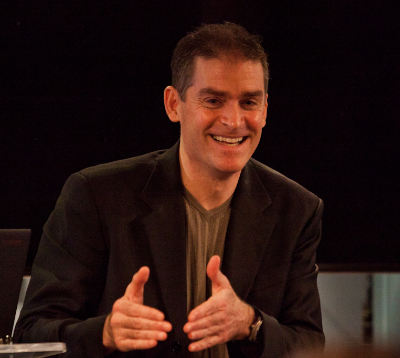 But I have found it's best not to discuss that issue." His voice noticeably cracks during this particular sentence - strongly suggestive of anxiety. But just prior to that the former President says, "If you ask her, I think she'd say grandf-mother ....". This is another manifestation of his anxiety. He is perhaps the best spoken politician of modern times, yet here he misspoke. He starts to say grandfather, but corrects himself and finishes the word out with "mother". Listen carefully for this subtle error. We all commit similar mistakes, yet here this paralanguage signal, taken together with other similar missteps and his multiple nonverbal signals, tell us of his natural excitement in his anticipation of becoming a grandfather. In this image (with close-ups below) we see the former President sitting on his hands. This is extremely rare for any alpha male and with the other signals seen in these crucial seconds, is very reminiscent of a schoolboy suppressing his excitement. He is trying hard to keep a secret. A further manifestation of this same emotion (ergo part of this "nonverbal cluster" aka "body language sentence") are his locked ankles and legs rocking back and forth. Congratulations Bill, Hillary, Chelsea and Marc (Dad). Enjoy every minute.